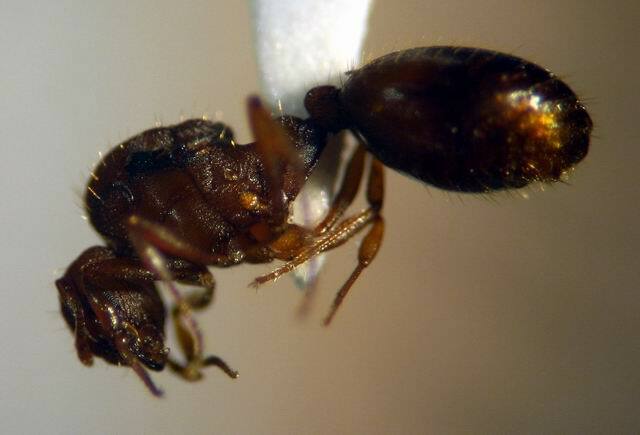 Israel could be facing an invasion – of little fire ants, the Environment Ministry said Monday. Colonies of the pest were found in plant nurseries in the Beit Shemesh and Tekoa areas – the former a large nursery in Mesilat Tzion. The ministry is urging anyone who bought plants from the nurseries in recent weeks to check them closely for infestation, and to immediately alert officials if they have a plant in their possession that is infected – especially if it is in the ground already. The ant was first seen in Israel in 2005, when the Jordan Valley was affected. Since then, it has shown up in the Jezreel Valley, the southern Carmel region, the Sharon Plain, and in the Tel Aviv metropolitan area. This is the first time it has been seen in the Yerushalayim and Judean Hills region, and officials are concerned that these areas are next on the target of the ants. Little fire ants, also known as electric ants (Wasmannia auropunctata), are small light to golden brown ants native to Central and South America. The fire ant stings humans during all hours of the day, and is active both indoors and outdoors. Although the ant is small, its sting is very painful, inducing a type of burn. It can also harm pets, livestock, wildlife, crops, garden plants and biodiversity, the ministry said. According to the International Union for Conservation of Nature, it is one the world’s 100 worst invasive alien species. Officials have been successfully battling the ant since 2006. An action plan that includes monitoring, extermination (including registration, import and distribution in Israel of a new bait found to be effective against the little fire ant), prevention of distribution (by means of decrees and their enforcement), and information activities in areas in which the ant was discovered, has proven effective, the ministry said. In case of a suspected bite, instructions are to disinfect the area of the bite to prevent infection; pain and burning sensation can be soothed by cooling the area and applying ointment. In case of a suspected allergic reaction, immediately contact the nearest medical center, the ministry added.